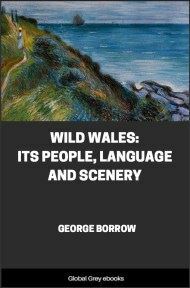 Wild Wales: Its People, Language and Scenery is a travel book by George Borrow, first published in 1862. 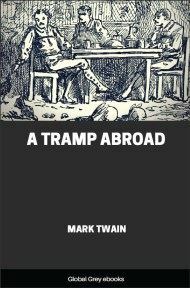 The book recounts Borrow's personal experiences and insights while touring Wales alone on foot after a family holiday in Llangollen in 1854, and has come to be regarded as a source of useful information about the social and geographical history of the country at that time. Borrow gives a detailed account of his journey and starts his travels into North Wales from Chester, passing en route through Wrexham, Llangollen, Corwen and Betws-y-coed to Bangor, Anglesey, Caernarfon, Bala, Machynlleth and then south, through Mid Wales to Tregaron and Lampeter, Devil's Bridge, Cwm Ystwyth and Pont-rhyd-y-groes, eventually arriving in some of the industrial areas around the South Wales coalfields, such as Brynamman, Merthyr Tydfil and Pontardawe, before visiting Swansea and Neath and leaving the country via Caerphilly, Newport and Chepstow. It was my knowledge of Welsh, such as it was, that made me desirous that we should go to Wales, where there was a chance that I might turn it to some little account. In my boyhood I had been something of a philologist; had picked up some Latin and Greek at school; some Irish in Ireland, where I had been with my father, who was in the army; and subsequently whilst an articled clerk to the first solicitor in East Anglia — indeed I may say the prince of all English solicitors — for he was a gentleman, had learnt some Welsh, partly from books and partly from a Welsh groom, whose acquaintance I made. A queer groom he was, and well deserving of having his portrait drawn. He might be about forty-seven years of age, and about five feet eight inches in height; his body was spare and wiry; his chest rather broad, and his arms remarkably long; his legs were of the kind generally known as spindle-shanks, but vigorous withal, for they carried his body with great agility; neck he had none, at least that I ever observed; and his head was anything but high, not measuring, I should think, more than four inches from the bottom of the chin to the top of the forehead; his cheek-bones were high, his eyes grey and deeply sunken in his face, with an expression in them, partly sullen, and partly irascible; his complexion was indescribable; the little hair which he had, which was almost entirely on the sides and the back part of his head, was of an iron-grey hue. He wore a leather hat on ordinary days, low at the crown, and with the side eaves turned up. 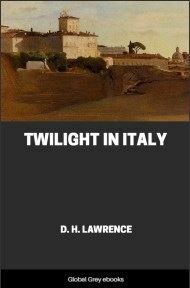 A dirty pepper and salt coat, a waistcoat which had once been red, but which had lost its pristine colour, and looked brown; dirty yellow leather breeches, grey worsted stockings, and high-lows. Surely I was right when I said he was a very different groom to those of the present day, whether Welsh or English? What say you, Sir Watkin? What say you, my Lord of Exeter? He looked after the horses, and occasionally assisted in the house of a person who lived at the end of an alley, in which the office of the gentleman to whom I was articled was situated, and having to pass by the door of the office half-a-dozen times in the day, he did not fail to attract the notice of the clerks, who, sometimes individually, sometimes by twos, sometimes by threes, or even more, not unfrequently stood at the door, bareheaded — mis-spending the time which was not legally their own. Sundry observations, none of them very flattering, did the clerks and, amongst them, myself, make upon the groom, as he passed and repassed, some of them direct, others somewhat oblique. To these he made no reply save by looks, which had in them something dangerous and menacing, and clenching without raising his fists, which looked singularly hard and horny. At length a whisper ran about the alley that the groom was a Welshman; this whisper much increased the malice of my brother clerks against him, who were now whenever he passed the door, and they happened to be there by twos or threes, in the habit of saying something, as if by accident, against Wales and Welshmen, and, individually or together, were in the habit of shouting out “Taffy,” when he was at some distance from them, and his back was turned, or regaling his ears with the harmonious and well-known distich of “Taffy was a Welshman, Taffy was a thief: Taffy came to my house and stole a piece of beef.” It had, however, a very different effect upon me. I was trying to learn Welsh, and the idea occurring to me that the groom might be able to assist me in my pursuit, I instantly lost all desire to torment him, and determined to do my best to scrape acquaintance with him, and persuade him to give me what assistance he could in Welsh. I succeeded; how I will not trouble the reader with describing: he and I became great friends, and he taught me what Welsh he could.